HARRY - SWINDON, THIS IS SWINDON. Thomas William Harry came from Wales and took over the grocery business of FREETH in 1890 with his business partner Mr Burson. Thomas died after a long illness on 2nd Feb 1897. 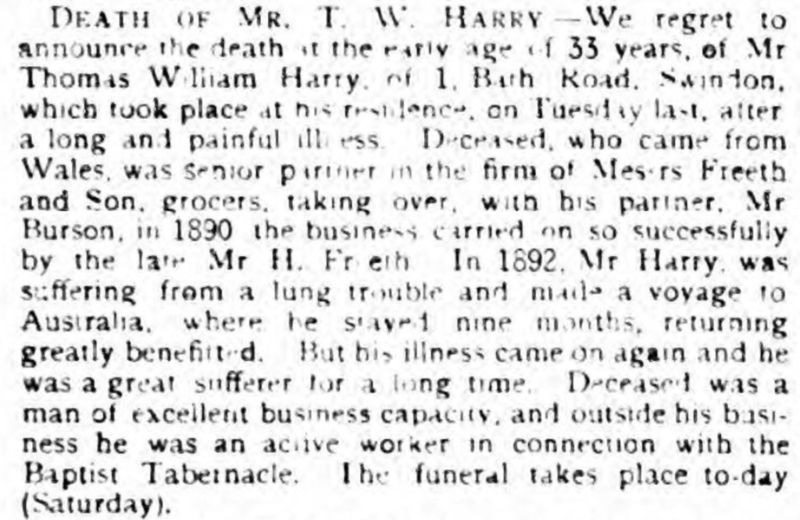 Thomas’ brother, Harry Harry, then took over the business. 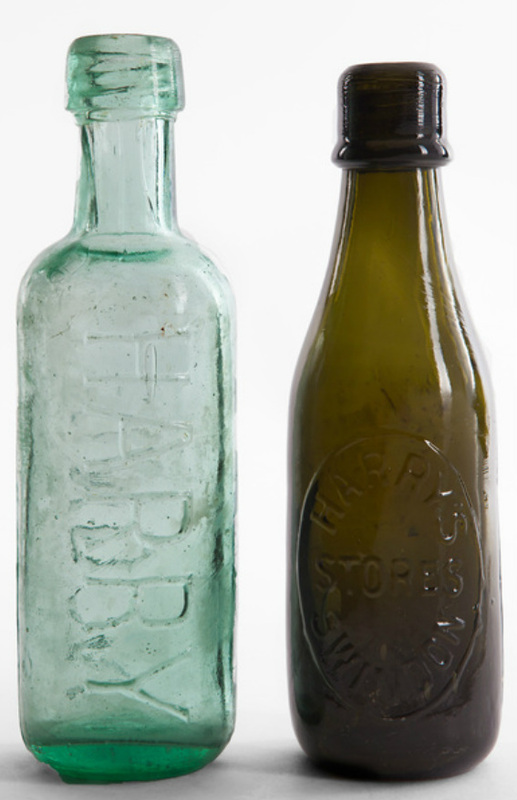 In the 1901 census, Harry Harry was listed as living at 1 & 3 Bath Road as a Grocer, Butcher and Mineral Water Manufacturer. In mid 1902 he sold the mineral water part of his business, along with that of C.C. Atkinson, to F. Williams. The 1903 Kelly's Directory shows him still at 1 & 3 Bath Road, Swindon and also at 52 Regent Street, Swindon. In 1909 Harry married his brother’s widow. By 1927 the Bath Road premises were being operated by HENRY GEORGE ENGLISH. Harry Harry had actually moved to Australia but returned to the UK to marry his widowed sister-in-law. They then both moved back to Australia.